Reusable surgical instruments are subjected to a decontamination process. 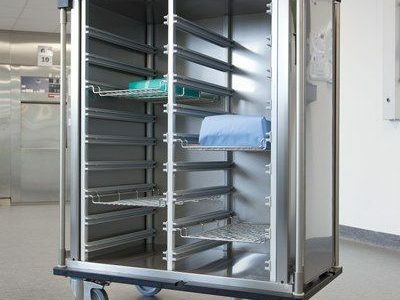 Which means they are cleaned, inspected, packaged, sterilized transported and stored after every use on a patient. The purpose of the packaging system is to keep the instruments sterile until they are used, and to allow them to be opened aseptically when they are used. The international standard ISO 11607-1 describes the requirements for sterile barrier systems (packaging), while the ISO 11607-2 standard describes validation of packaging processes. This standard is applicable to the medical industry, to health care facilities (hospitals, doctors and dentists). Decontamination of a surgical instrument is a complex process that involves a number of steps and processes. Cleaning is the first critical step of the process. If instruments are not cleaned they cannot be sterilised. Residual debris remaining on an instrument after cleaning will impede sterilization. What are the benefits of minimally invasive total hip replacement? Traditional hip surgery involves making a 20-30 cm incision over the hip, the muscles are split or detached from the hip and the hip is dislocated. This is done so the surgeon can remove the ball joint and insert a metal implant into the femur.